When I was in 5th grade at Girl Scout camp, every girl received a personalized award. Mine was "Perpetual Ray of Sunshine." At the time I did not know what it meant, but looking back it makes me chuckle, I must have exuded joy during my two weeks at camp. Unfortunately, I can say that much of this last month or so have not been my most shining moments when it comes to having joy. As many of you know last month Andrew and I went through a miscarriage (if you want here is The Story of Our Valley). I have learned more through this than I can summarize in a blog post... and I am still learning. But at the forefront is joy. Pure, real, noncircumstancial. I started by reading in James, knowing James 1:2-4 by heart. 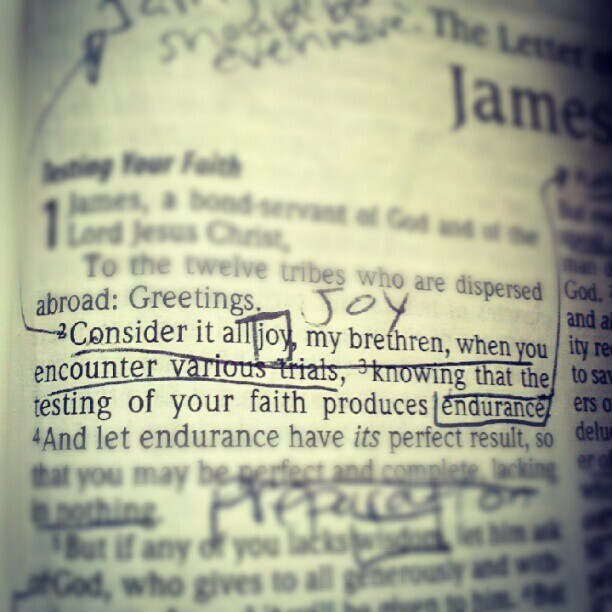 "Consider it all joy, my brethren, when you encounter various trials, knowing that the testing of faith produces endurance. And let endurance have its perfect result, so that you may be perfect and complete lacking nothing." Then I poured over all of James and 1 Peter. "As an example, brethren, of suffering and patience, take the prophets who spoke in the name of the Lord. We count those blessed who endured. You have heard of the endurance of Job and have seen the outcome of the Lord's dealings, that the Lord is full of compassion and is merciful." As I prayed over this God really revealed to me that suffering and patience go hand and hand. There is no way or even reason to rush through a particular trial. And then "We count those blessed who endured." How often do we say we are blessed for a particular trial? Blessed for the endurance and growth in our relationship with Christ! "In this you greatly rejoice, even though now for a little while, if necessary you have been distressed by various trials, so that the proof of your faith, being more precious than gold which is perishable, even though tested by fire, may be found to result in praise an glory and honor at the revelation of Jesus Christ." Wow, I have been distressed by various trials, for the proof of my faith, that is more precious than gold! The result of this is glory and honor to God! The crowd rose up together against them, and the chief magistrates tore their robes off them and proceeded to order them to be beaten with rods. When they had struck them with many blows, they threw them into prison, commanding the jailer to guard them securely; and he, having received such a command, threw them into the inner prison and fastened their feet in the stocks. But about midnight Paul and Silas were praying and singing hymns of praise to God, and the prisoners were listening to them;"
Their robes were torn, they were beaten with rods, they were thrown in prison, their feet were fastened to the stocks... and what was their response? They were praising and singing hymns. How I wish I could say that is my initial response when it comes to trials! How powerful would this be??? At this point my response was, "I understand these things, but how can I be joyful when I am just so sad? Wouldn't that be ignoring what I am going through?" 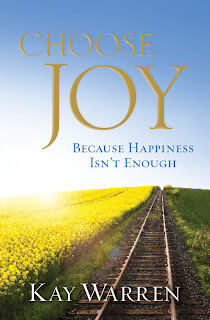 So I started to read the book Choose Joy by Kay Warren. I realize when looking at this definition to have an assurance, a confidence and a determined choice are all actions that my heart must take, regardless of my circumstance. That means that joy and sadness can happen simultaneously. That is what is so beautiful. God can take the most painful trial, use it in our lives to grow our faith, and show the world His face... if we let Him. So I look back on my 5th grade award... And that is what God is teaching me to be now... A "Perpetual Ray of Sunshine." Not in a way that blindly ignores life's trials, but encounters them with assurance of the sovereignty of God and praises Him through all and above all. I loved this. I think one thing lacking in many peoples life is JOY, true Joy. 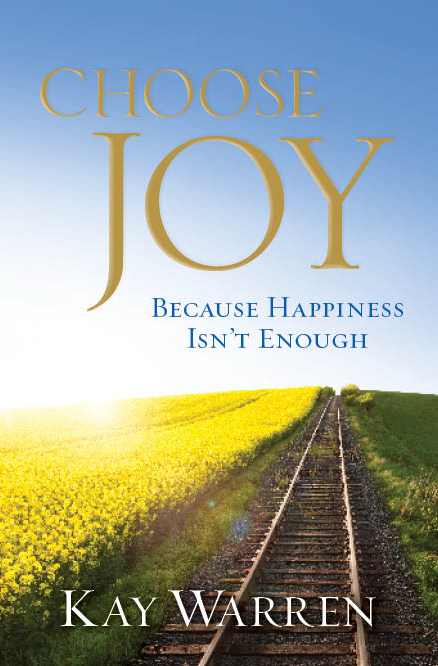 Not just happiness, because happiness comes and goes with our "happenings"
I think also that experiencing tragedy and loss and sadness in a deep way, only allows you to fully grasp JOY even more. I need to look into that book! Thanks for sharing this, I really enjoyed reading it. It is SO true. We need to seek the true source of joy in Christ, not just happiness. Thank you for your response!